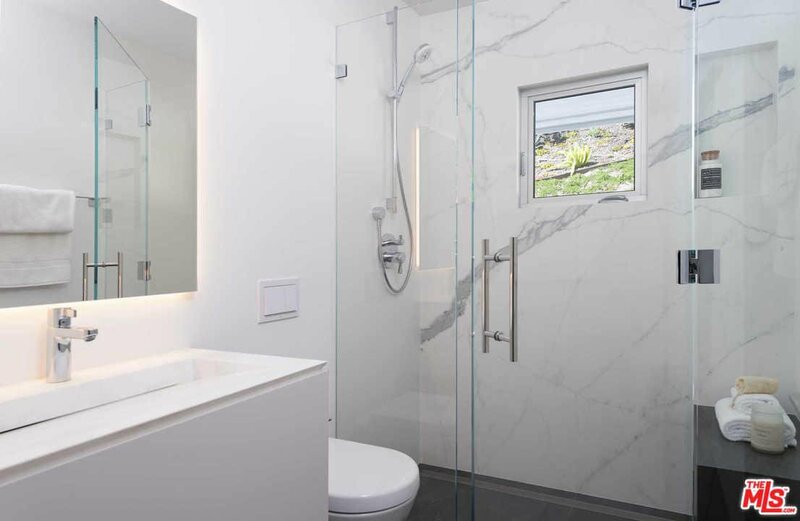 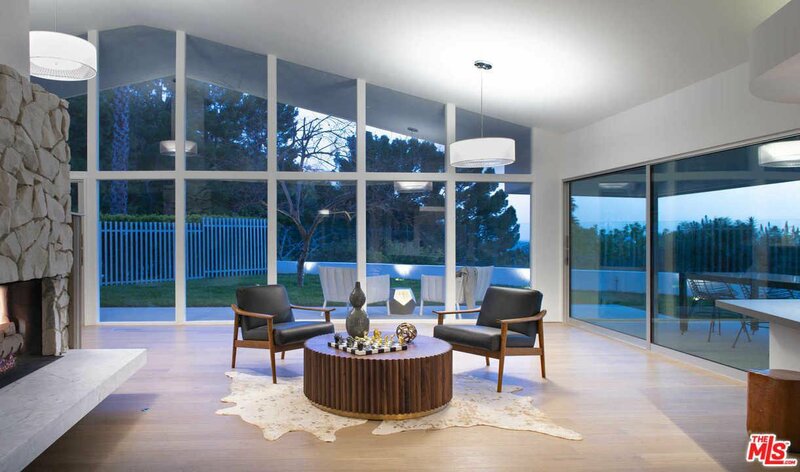 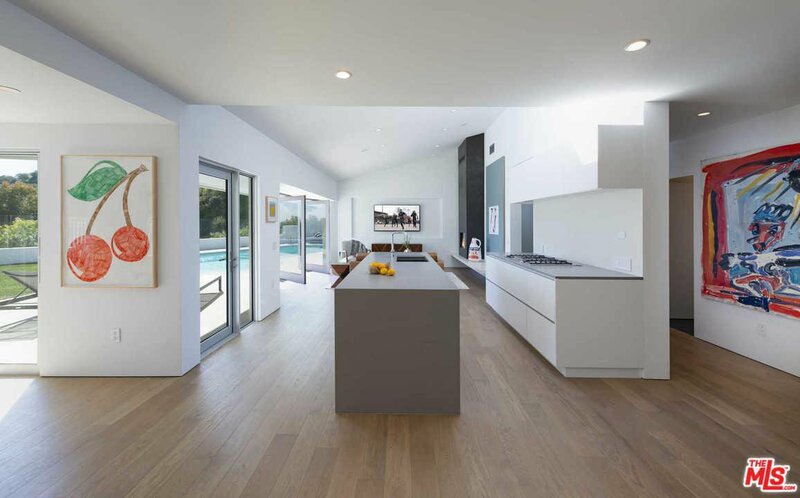 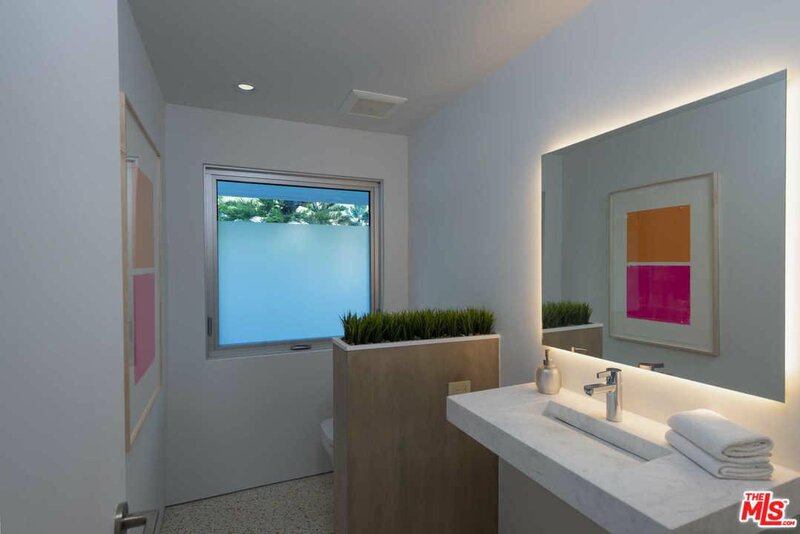 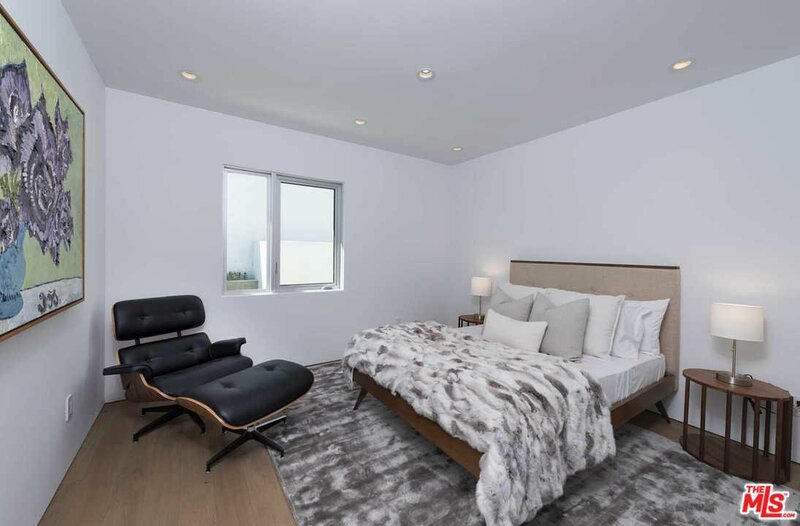 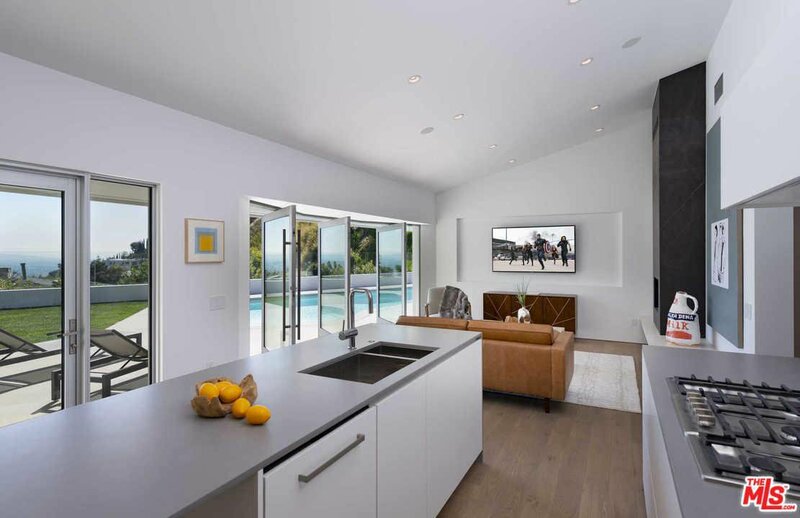 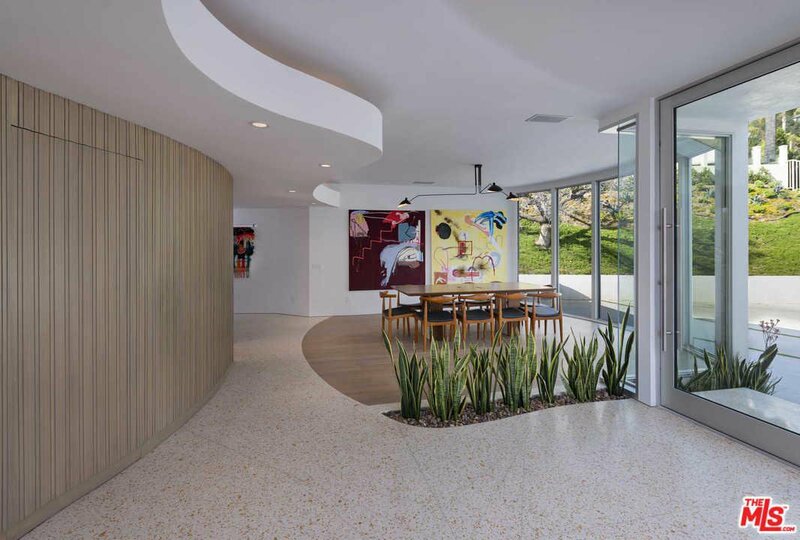 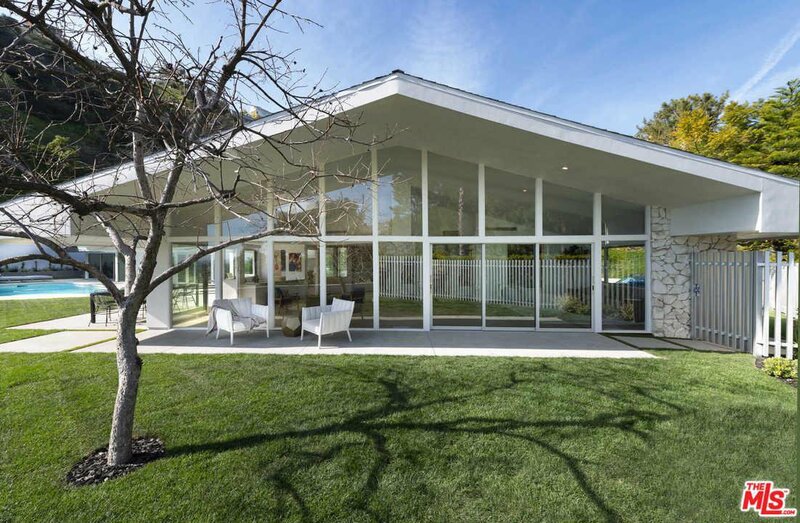 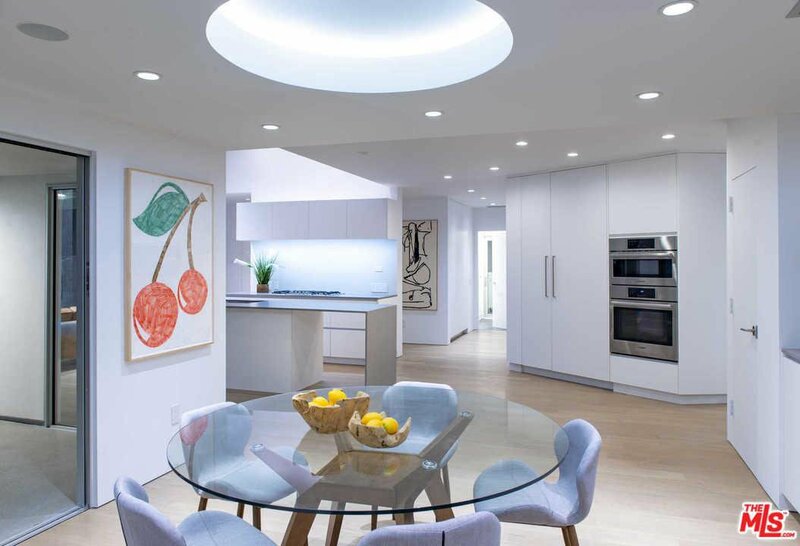 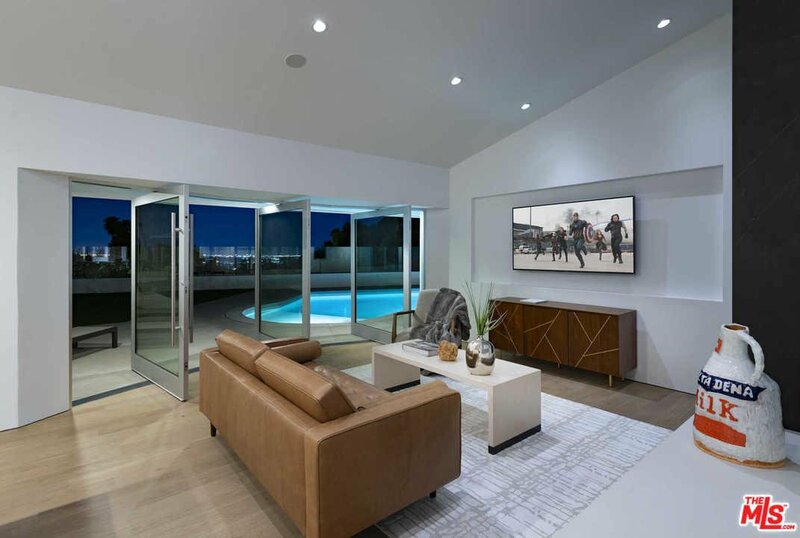 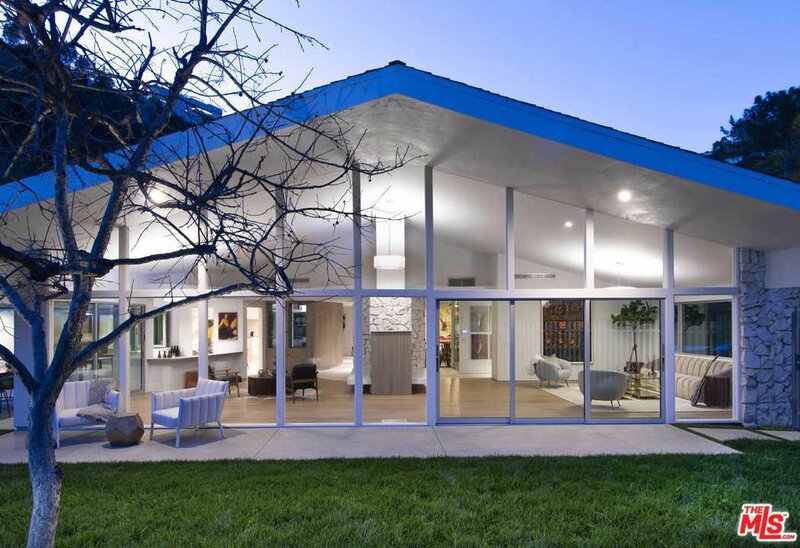 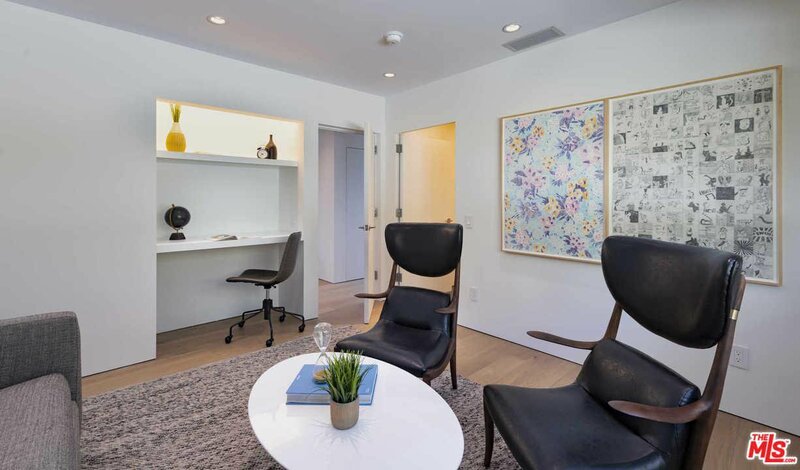 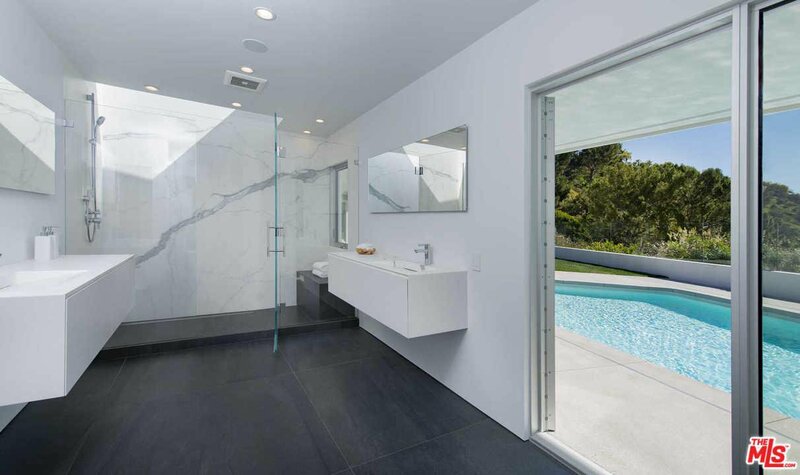 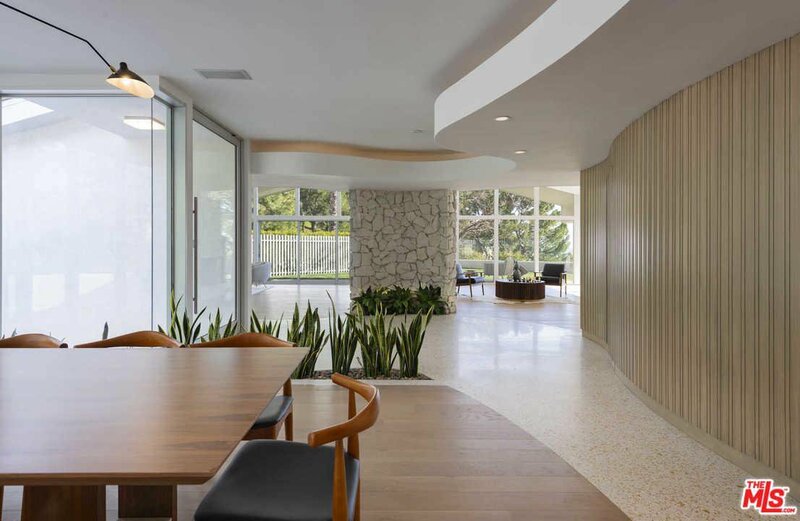 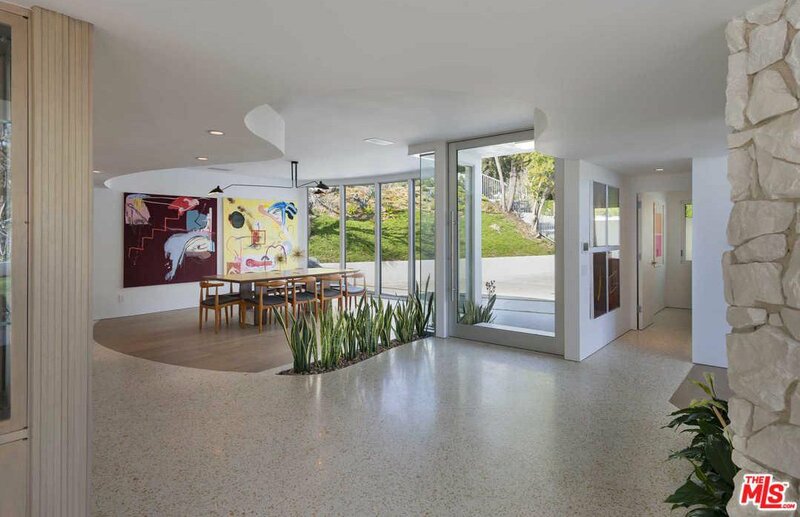 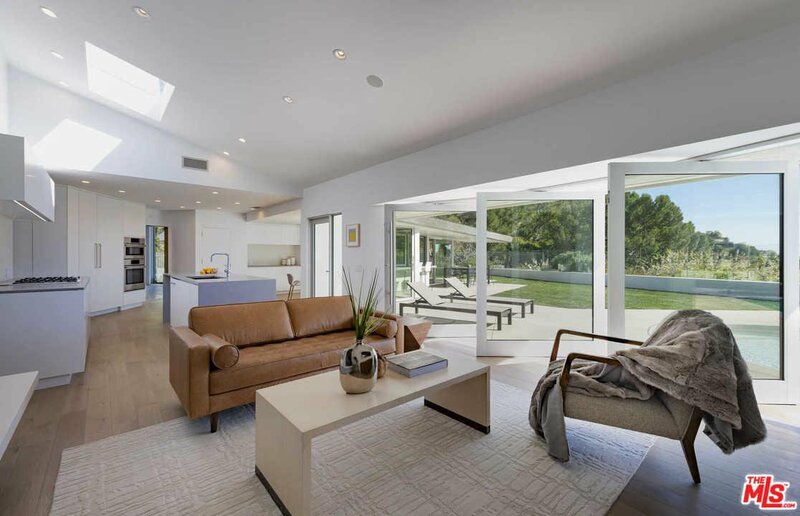 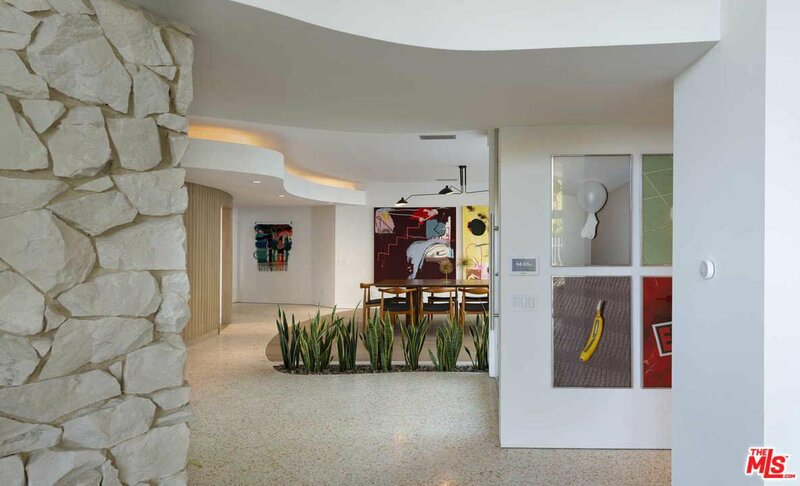 This iconic mid-century modern residence has been thoughtfully reimagined for the 21st century by internationally acclaimed architect Dan Brunn, AIA while maintaining its enduring mid-century appeal. 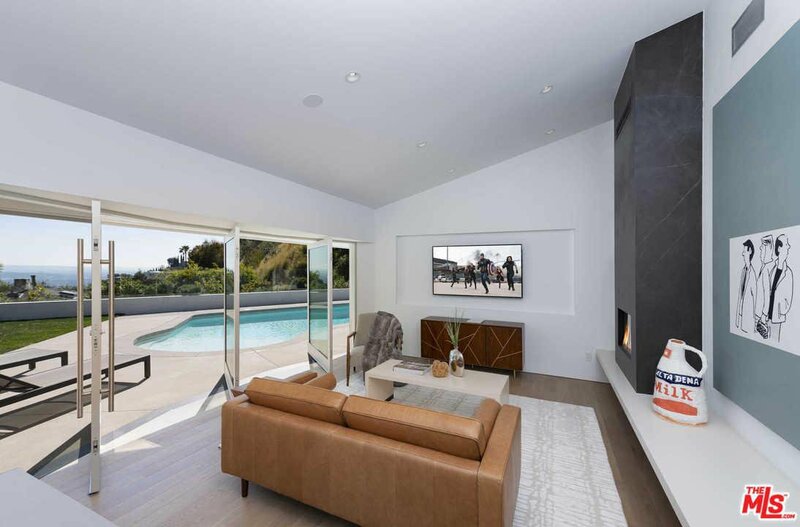 Tucked behind gates off famed Sunset Plaza Drive, the home showcases bright, open living spaces with soaring ceilings, white oak floors, towering walls of glass and a distinctive, curved design. 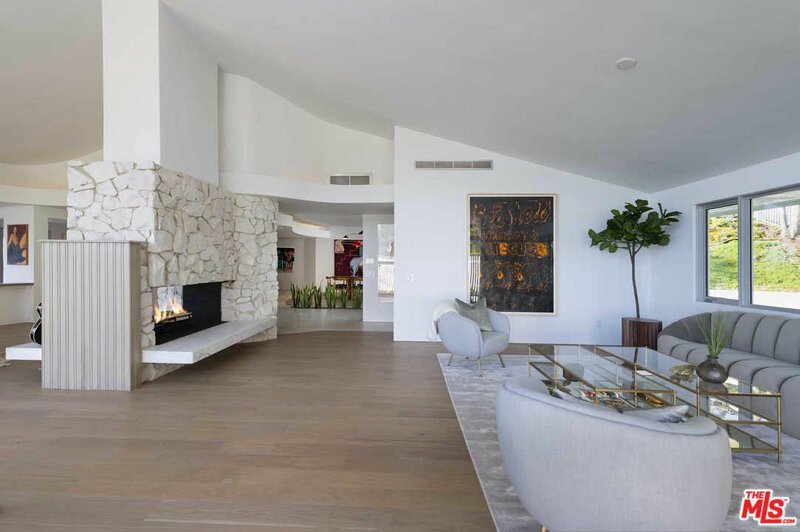 A soaring great room features a classic, double-sided stone fireplace and sliding glass doors to an outdoor dining area and bar with a pass-through window to the pool. 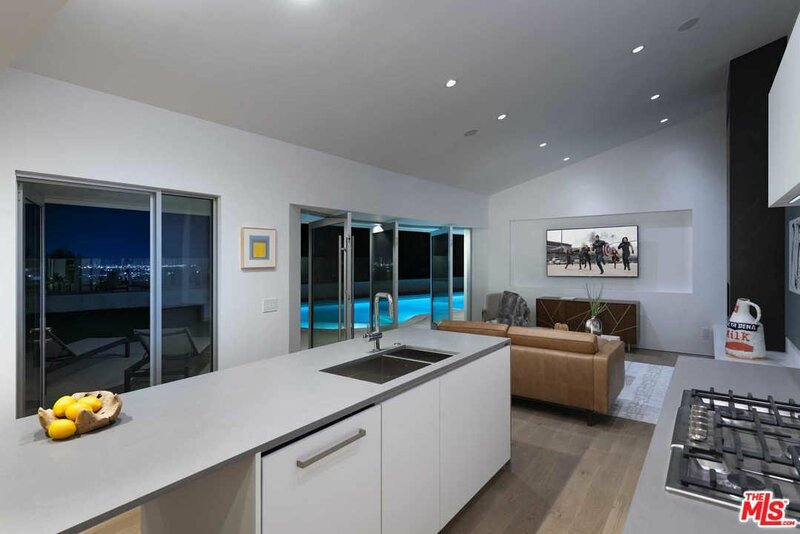 Walls of glass line the open chef's kitchen, family room and master suite, fusing the spaces with an expansive, grassy yard and pool overlooking breathtaking jetliner views. 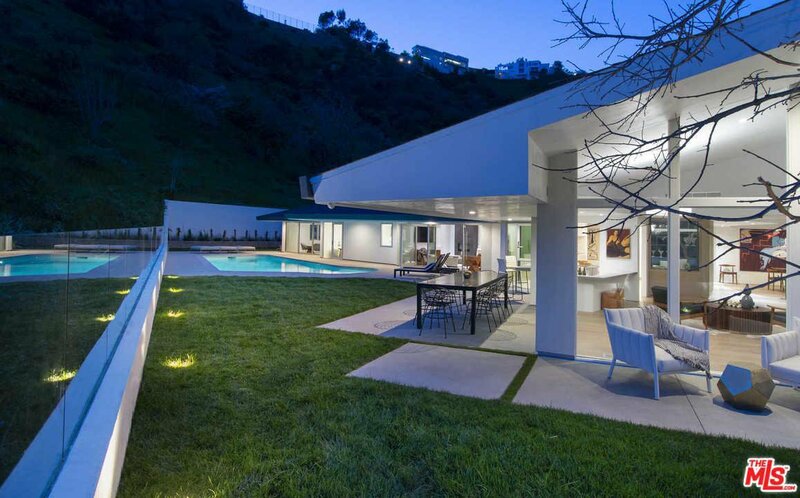 An extraordinary example of mid-century design reinterpreted by one of Architectural Digest's Top 10 Rising Stars, this ultra-private celebrity enclave embodies the inimitable Hollywood Hills lifestyle with cinematic allure.